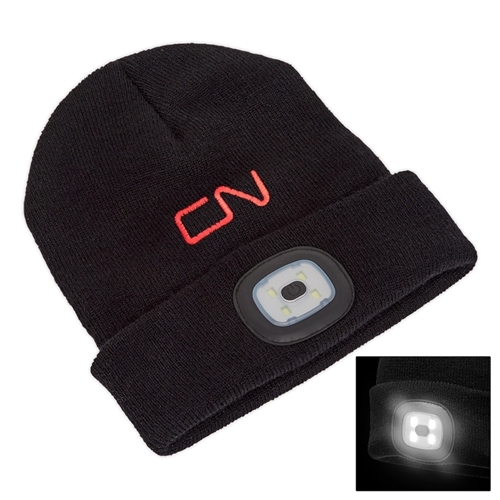 Beanie featuring a removable LED headlight. 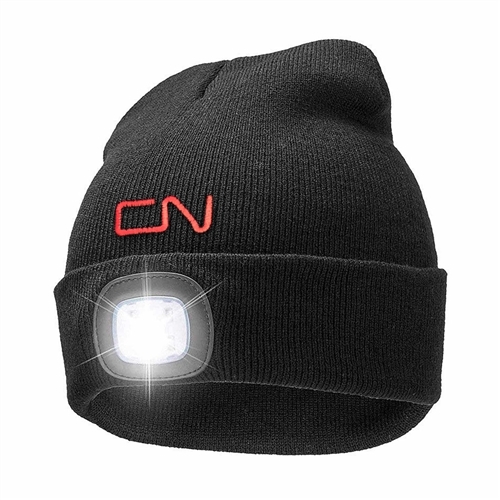 The headlight has three brightness settings - pops out of the turn-back cuff for washing. Made of 100% acrylic knit. One size fits most. Uses 2 button cell batteries, included. CN embroidered logo in Red. Black.